Dual purpose filly who will make her mark in middle-distance flat handicaps & in Novice hurdles. Only 1 share(s) equalling 0.3% is needed to qualify for prizemoney payments from Lassana Angel 2019's racing season. Colour/Markings: This filly is a dark bay and she has three white socks. This filly is a Coolmore bred filly, with impeccable 20-20 breeding. She is by one of the major sources of classic middle distance horses at the moment - High Chaparral - who was still standing for 30,000 euros until his untimely death in 2014. This filly is one of his last offspring. Diara Angel was a multiple winning mare on the flat and Lassana Angel is her second foal. The filly had a full brother who raced three times and was placed in a Class 4 Maiden before tragically dying before he could race again. Her pedigree suggests that she should improve with age and experience and if she is able to win a few races will be a nice breeding prospect herself. If you are looking for a deeper involvement with Lassana Angel 2019, check out our list of Private Service shares. 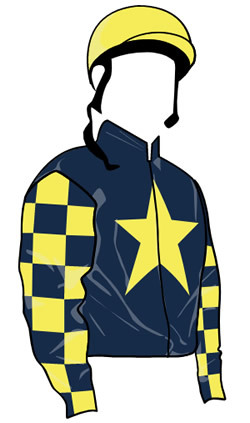 We may have leases or outright shares available in this racehorse from 4% and above. Lassana Angel will be a 5YO in 2019 and will be racing early in the year over hurdles and will then switch to the flat in spring and alternate between the two codes as her trainer finds the right races for her. She will be a dual purpose mare right through 2019. She was trained by Roger Charlton and owned by the renowned breeder DJ Deer as a 2YO, and we bought her with trainer Tommy Gretton at the Tattersalls July sales. She cost 11,000 guineas. She is trained by Tommy in Inkberrow, Worcesteshire and will be campaigned on the flat on turf and over hurdles through the summer. 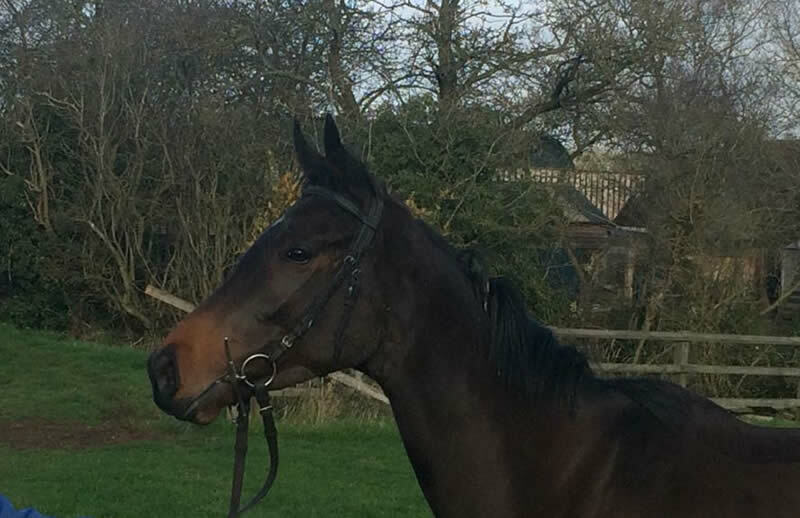 She will be racing in the South and the Midlands on the grass in handicap company on the flat and will start in Novice races over hurdles. 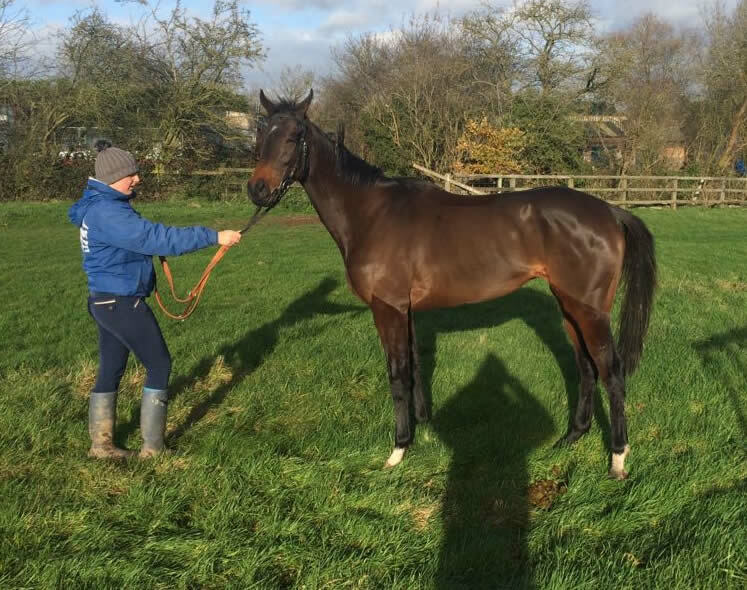 She started her season in real style, winning a Novice hurdle at Catterick on New Years Day and we expect the filly to progress through the season. Tommy Gretton : "I've been saving her for hurdling and believe she will be very competitive when she is jumping the smaller obstacles. We've schooled her at home and she's a natural jumper. She got it wrong on her hurdles debut but her third placing second time hurdling was a promising run." 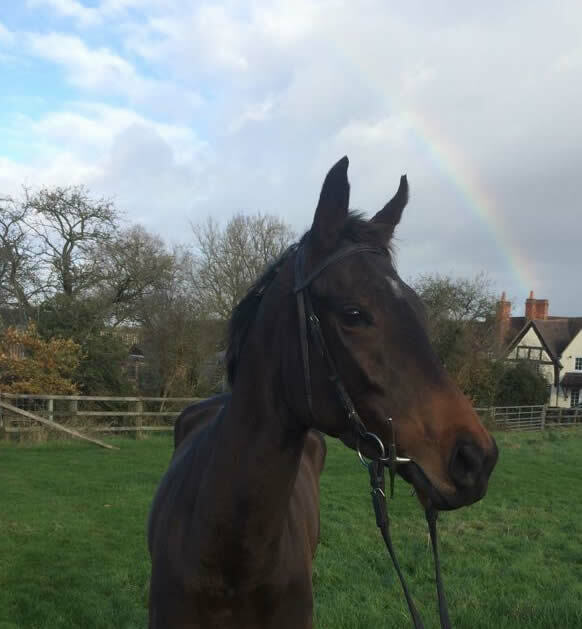 This is the perfect horse for a racing enthusiast in the Midlands or South looking for a racehorse who has shown some promise already, and hopefully will blossom into a really decent sort in handicap company, both as a hurdler and on the flat. 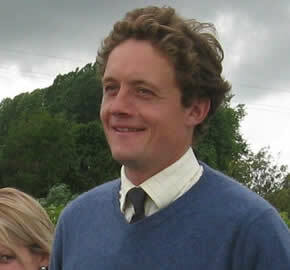 In Tommy Gretton you have an aspiring trainer who looks after his horses welfare, places his horses extremely well and has a very decent win ratio. 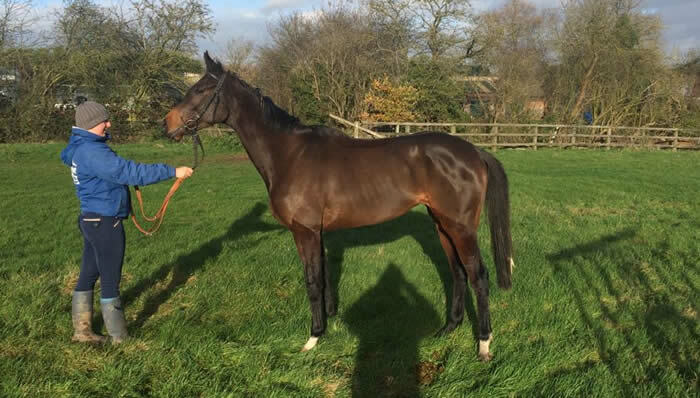 This mare has been bought expressly with the aim of providing Tom with an opportunity to go flat racing with a better class of individual, but to also have the option to turn to hurdling, as she is a capable stayer. She is rated in the sixties on the flat at the moment and has run with credit on more than one occasion. She has hurdled twice and finished a decent third when giving weight all round to 115 and 109 rated horses. We believe her current handicap rating on the flat is very workable and of course she is unexposed over hurdles at present. Tommy Gretton said "She was forced onto the All-Weather surfaces early in 2018, which didn't suit her at all, but her turf runs were promising. With the added option of hurdles it will open up the races for her in 2019. " Lassana Angel will head for Fillies only handicaps in the 0-65 to 0-75 bands and hopefully progress from there. 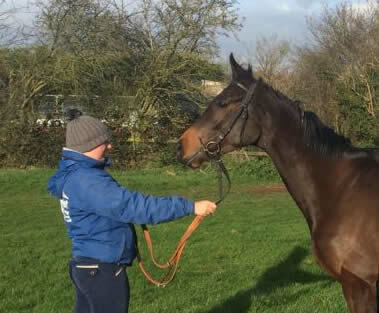 Tommy is well placed to run at all the major flat tracks around the South and Midlands and we have had runners at courses like Brighton, Sandown, Kempton, Newbury, Leicester, as well as more far-flung tracks such as Chepstow and Yarmouth from Tommy in recent years. Last season she gave shareholders a great day out when she ran at Goodwood. The mare is still quite lightly raced and showed a lot of promise in her December run over hurdles. Tommy likes this mare a great deal as she has ability, is tough and has already proved herself a good jumper when schooled over hurdles. We have great hopes for this mare, who should provide her shareholders with good quality racing. If she is able to win early in the season, we will look to give her an opportunity to race in better quality weekend races later in the season. The race plan for this filly is to pick off both flat and hurdle races from January 2019 onward. She has a very workable flat handicap rating and she will be contesting middle distance handicaps next summer. Lassana Angel will also be going Novice Hurdling. She jumps well and Tommy is keen to take her two miles over sticks on rain softened ground. Tommy Gretton stated "There are races to be won with her in flat handicaps as she has run well over ten furlongs and a mile and a half. She is still under-exposed. We'll also be sending her Novice hurdling. She jumps well and I could see her getting two and a half miles as a jumper when she has had some experience." The filly has run on a variety of goings on the turf and they all seem to come to her the same, perhaps with a slight preference for ground with a little give, so any going between 'Good to Firm' down to 'Soft' should be fine for her. Tom commented "She is still relatively lightly raced and has a good attitude. Once she gets her head in front, which I'm sure will come, we should have a lot of fun with her." We expect to get 3-8 runs and sometimes more from all our more mature flat horses per share period, however, you should expect periods of no racing as a result of recuperation from injury or training setbacks. This share period starts April 1st 2019 and runs through the summer flat season, finishing on November 1st 2019, although we will be reporting on the filly before the share period starts, should we have anything of importance to share with shareholders. During the season the horse may be rested or have time away from the track to recover and it is quite normal for a flat horse to have periods of 3-6 weeks rest between races. For this filly we offer the following guarantee: If due to injury or retirement, her season is cut short and she will not race again, and she has not raced AT LEAST TWICE we will replace her with a similar horse for the remainder of the 2019 turf season. Please note that we are unable to pay prizemoney on any replacements and the replacement will always be a horse of our own choosing. As a shareholder you must understandthat we cannot guarantee your horses performance, a specific volume of runs (beyond our minimum guarantee) or that runs will be evenly spaced throughout the share period. This is the chance you take when owning any racehorse and participating in this ownership experience. If you will be disappointed with only 2-3 runs from your racehorse during the season, then please DO NOT PARTICIPATE IN THIS OR ANY OTHER RACEHORSE, as there is a chance you could be disappointed. 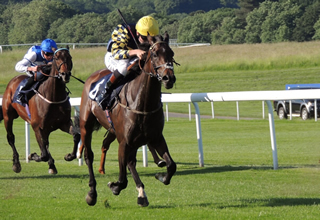 We believe in being crystal clear with our shareholders - any participation in racehorse ownership is a risk, and we are unable to make any refunds because of share periods which finish early due to injury or retirement. This is the chance all shareholders take, as we do ourselves, when participating in the ownership experience with a racehorse. However, we will always strive to provide value for money for our shareholders.